Parenting is busy. There is laundry to wash, food to prepare, work to do, kids to drive around, bills to pay, and countless other important tasks. Every day I find myself with many more things to do on my “would be nice to accomplish” list than are humanly possible. 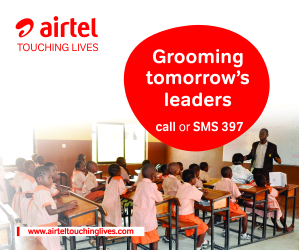 However, as we strive to juggle the myriad tasks pulling on us as parents, let’s remember that one of the most important things we can do for our children is to be involved in their education. 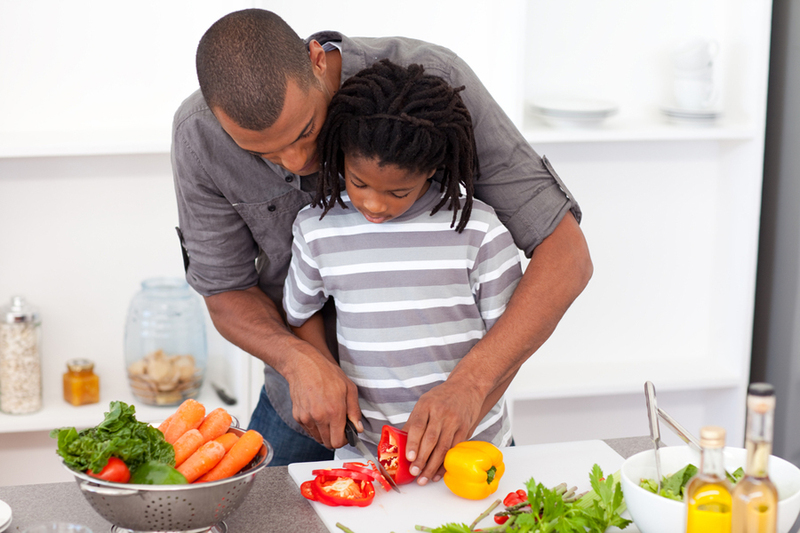 Studies have shown repeatedly over the past several decades that children whose parents encourage and participate in learning at home perform significantly higher academically than their peers who do not receive the same support outside the classroom. Just as important is creating a culture of learning in your home before your children start formal schooling, so that they are prepared once they enter the classroom. How can you make learning with your child a priority? The good news is that educating your child doesn’t have to be “one more thing” to add to your miles-long to do list. There are many ways you can build learning into your daily life in simple, but meaningful ways. Here are five simple ways to incorporate learning into your everyday activities with young children. 1. Take advantage of driving time. I used to listen to audio books in the car. Now, I often use that time to talk and play learning games with my sons. Their favorite game right now is the “rainbow game” as we call it. As we drive along, we look for things in all the colors of the rainbow, starting with red and going all the way to purple. Red stop sign. Orange construction cone. You get the idea. It’s a simple way to practice colors when we’re on the go. When we stop at red lights, sometimes I’ll also quiz my four-year-old son on simple addition problems, holding up my fingers behind my head so he can count them. For older kids, keep a Brain Quest game in the car to quiz each other, or let them try to stump you on doing mental math. Find ways to keep it fun, and utilize this often-wasted time. 4. Put it on the wall. Think about a typical classroom. What is all over the walls? Posters, charts, student work, and all sorts of educational information. Why? Because seeing the information over and over again helps it to stick in their brains. My kitchen wall is filled with the evidence of our learning. Now, I’m not suggesting that you decorate your house in “Kindergarten chic”, but consider carving out a space to showcase your child’s learning activities and post things you want them to learn…numbers, the alphabet, etc. It could be in your kitchen, your child’s room, the playroom, or wherever makes sense for your family. I used this method to teach my son our phone number. 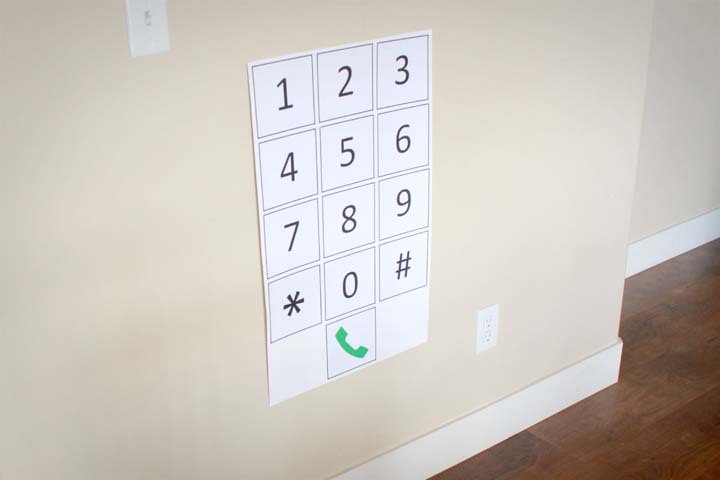 I made a large paper replica of a phone, posted it on the wall, and wrote our phone number above it. Together, we practiced our phone number several times, but then I just left the “phone” up on the wall for a few weeks so he could practice. It made me laugh to watch him walk by it and then stop, go back without prompting from me, and punch in our phone number. By posting things where your kids can see, you bring their attention to it, and the more they see it, the more it reinforces the information in their brains. 5. Make time to rhyme. Did you know that one of the best predictors of how well a kindergartner will learn how to read is whether he or she knows nursery rhymes? Why? Because they RHYME. And when kids understand rhyme, they understand the sounds and rhythm of language. This article from The Measured Mom explains more about why it’s so important to teach our kids to rhyme. There are so many fun ways to develop rhyming skills with your kids. First, make it a point to sing or recite all those classics from your own childhood. Put on kids’ music while you’re playing at home, sing in the car, or make up funny songs yourself. My four-year-old’s favorite bedtime tradition is to have me make up songs for him about the books we read each night. Sometimes they are truly terrible, but it makes him happy and I know that it’s good for him to hear the rhyming patterns of my ridiculous creations. Another idea is to play a variation on “I Spy” where one person says a word for something they can see in the room. Then, the other person has to try to think of a word that rhymes with it. This can be really challenging for young kids, but it’s a great way to learn rhyming skills. You don’t have to set aside large quantities of time to make learning a priority. It just takes a little creativity in building learning activities into your daily routine and bringing attention to the learning that occurs naturally each day. Posted by Above Whispers on July 1, 2018.